Valentine’s Day is just around the corner, and a romantic trip is an excellent way to celebrate your love. Yes, any trip can be romantic, just as TripAssure travel protection plans are available for many types of trips. However, there are some specific travel protection benefits for a romantic getaway. Here are some scenarios and solutions to consider for your Valentine’s Day travel plans. Travel delays happen all too frequently, never mind that February is a cold weather month and there have been many winter storms already this year. There may not be a less romantic way to begin a trip than spending a night in an airport. TripAssure plans include Trip Delay benefits to help avoid such a situation. If a flight delay is 6 hours or more, travelers can be reimbursed for local transportation, meals, and accommodations. This means the romance can be salvaged by going out to dinner, and enjoying a private hotel room for the evening, until your flight is rescheduled, up to the benefit limits of the plan. A delay like this may impact more than just the first night of the Valentine’s voyage. 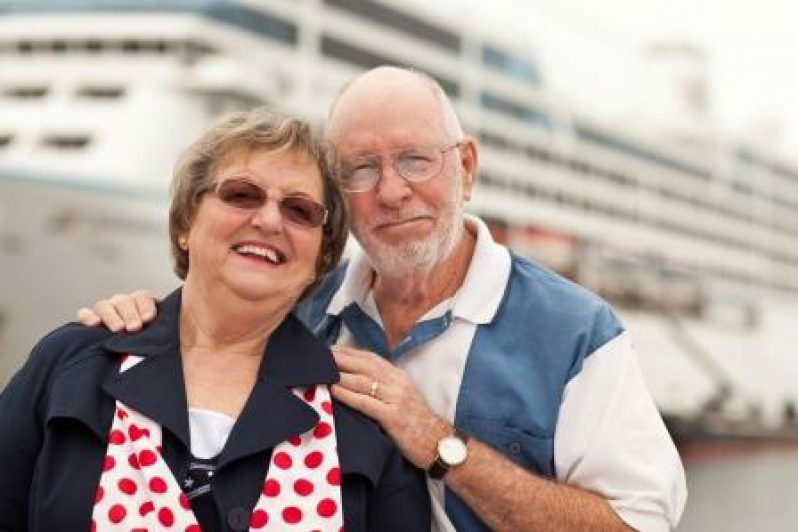 For example, a couple planned to board a cruise, but the flight delay resulted in the ship departing without them. These travelers don’t have to fret, not all is lost. Every TripAssure plan includes Missed Connection benefits to reimburse the expenses to catch up to the trip and pre-paid expenses that were unused and not refunded. Benefits can be available after a 3 hour flight delay. Our couple has now made the most out of the first night’s delay, will be able to catch the cruise ship, and recoup the lost expenses of the first part of the trip. The passionate partnership arrives at the destination, unfortunately, their luggage does not. TripAssure is again there to help, this time with Baggage Delay benefits. Once the travelers have been without their luggage for 12 hours, all TripAssure plans include benefits to reimburse for essential items. This couple can now get a change of clothes, replacement bathing suits, toiletries, makeup and other necessary things while they are without their luggage. Whether a new couple or spouses for decades, both travelers’ families are a part of the TripAssure plan. If one of the travelers receive terrible medical news about an immediate family member back home and need to cut the trip short, Trip Interruption benefits can be available. This can reimburse the pre-paid trip expenses that were unused and not refunded, as well as last minute transportation to return home early. Furthermore, TripAssure plans do not apply pre-existing conditions to a family member not traveling on the trip as long as their conditions begins or worsens after the travel protection was purchased. Being realistic, not all relationships are meant to be. One person could have planned the romantic vacation of a lifetime, but if the relationship doesn’t make it to the departure date, the hopeless romantic does not have to eat the whole cost. The TripAssure Complete plan includes Cancel For Any Reason (CFAR) benefits, provided the conditions of the plan are met. Cancel For Any Reason is how it sounds; the trip can be cancelled without explanation, and the traveler can be reimbursed for 75% of the unused trip cost that is not refunded. To qualify for CFAR, the plan must be purchased within 15 days of the initial trip deposit date, and insure 100% of the total trip costs. The last chance to use CFAR to cancel the trip is 2 days before departure. So it doesn’t cover the last minute cold feet, but close to it. This information is meant to be a summary of benefits provided in TripAssure plans for romance travel this Valentine’s Day. For complete details, please refer to the plan documents or contact TripAssure with questions. Agents are available 24/7 and are eager to help.